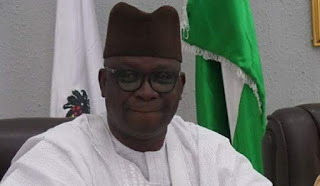 Ekiti State Governor, Ayodele Fayose, has said one of his greatest wishes on his 57th birthday was to have woken up in the morning to receive a congratulatory message from President Muhammadu Buhari or read such message in the media. He said he expected the president as the father of the nation to call him first as a governor and a leading opposition figure. Fayose spoke to journalists at the Government’s House in Ado-Ekiti. “My wishes on my 57th birthday as Ayo Fayose are many but one of them which will interest you is that I wish ‎President Buhari’s congratulatory call would have woken me up today as one of the governors in the country and as a leading ‎opposition figure in the country: a fearless young man who believes that things should be done rightly. Fayose said he deserved commendation from Buhari because he was contributing to the vibrancy of democracy being the opposition figure. The governor stated that he would celebrate his birthday with artisans, Okada riders, market women and men, and people on the streets.